Fasten your garter belt and come up to the lab and see what's on the slab! 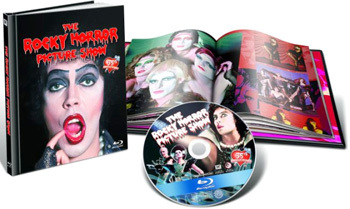 It's The Rocky Horror Picture Show [Blu-Ray], a screamingly funny, sinfully twisted salute to sci-fi, horror, B-movies and rock music, all rolled into one deliciously decadent morsel. And now there's even more to make you shiver with antici ... pation: two additional musical numbers, "Once In A While" and "Superheroes", never seen theatrically or available on video! The madcap, musical mayhem begins when rain-soaked Brad and Janet take refuge in the castle of Dr. Frank-N-Furter, a transvestite mad scientist from outer space who is about to unveil his greatest creation - and have a bit of fun with his reluctant guests! Join Tim Curry, Barry Bostwick, Susan Sarandon and rock star Meat Loaf in the most popular cult classic of all time. When I first saw The Rocky Horror Picture Show, I was a mere lad of 13. This memory depresses me for a few reasons, none really related to the film itself. First, it's hard to believe 1980 was 30 years ago; it just doesn't feel like it's been such a long period! But the passage of time is relative, which is reflected in another of my melancholy remembrances: even though it'd hit screens a mere five years earlier, Rocky seemed like an "old" movie as of 1980. Or maybe that was just me. After all, life passes slowly between eight and 13, and the gap feels wide. As such, something from 1975 seemed ancient when I saw Rocky in 1980. In regard to the film itself, quite a lot had changed during that five-year period. Rocky went from box office dud to cult sensation, all due to the burgeoning phenomenon of midnight movie showings. Rocky pretty much single-handedly made this a workable practice, and seeing the movie in such a state became quite a fashionable thing - so hip, in fact, even a 13-year-old dork like myself wanted to do it! So my ever-patient parents schlepped me to a midnight showing of Rocky, and as far as I recall, I had a pretty good time. The movie was nothing special, but the songs seemed catchy and it was an unusual and fun experience. Whatever affection I held for the film disappeared when I rewatched it on videotape in the early 1990s. Devoid of my youthful stupidity - some of it, at least - and also taken outside of the goofy theatrical milieu, I could see Rocky for what it was: a silly and dopey farce. It's been too long for me to remember the specifics of my disdain, but I do know that I found the movie to provide a thoroughly unenjoyable experience. Another decade, another screening of Rocky - what would this one bring? Probably not surprisingly, an opinion somewhere between the first two. While I can't say I enjoyed Rocky, I definitely didn't loathe it like I did the second time; it's a pretty dumb and pointless flick but it offers a few fun bits that prevent it from becoming a total waste. The positives: although I don't much care for the retro-Fifties tone they often engage, the songs remain pretty decent. "Time Warp" always was a favorite, and I have to admit that during the few days since I watched the film, I've had "Sweet Transvestite" running through my head much of the time. Meat Loaf's rendition of "Sweet Patootie" rocks mildly as well. None of the other songs stood out to me, but they all were at least moderately listenable. Most of the actors provide passable but unexceptional work, with one major exception: Tim Curry as Dr. Frank-N-Furter. When he bursts onto the screen at the start of "Sweet Transvestite", he does so with energy, verve and style to spare. His presence dominates the film and almost makes it watchable. Almost, but not quite. On to the film's weaknesses: first of all, it has virtually no plot. There's a loose connection due to some tale of sexual awakening and aliens, but it largely feels like an excuse for a variety of songs. It all becomes very tedious and does little to entertain. Actually, the movie works fairly well for its first 30 minutes or so. The opening in which the lips sing "Science Fiction Double Feature" grabs the viewer and I find the events that befall Brad (Barry Bostwick) and Janet (Susan Sarandon) moderately interesting, through and including their initial encounter with Frank. And then blammo - the whole house of cards collapses. Once the gang goes to the lab to witness the birth of Rocky (Peter Hinwood), the movie spins out and becomes almost wholly uninteresting until it finally dies 70 minutes later. Oh, there are a couple of moderately decent tunes in between; Meat Loaf's rendition of "Sweet Patootie" remains catchy, and a couple of moments during the climax are entertaining, mostly related to "Don't Dream It". Ultimately, however, I just found the movie to be dull and largely pointless. It's nothing more than a dopey little film that lacks much energy or spark. I can't say that Rocky is a total disaster, because it contains enough interesting moments to prevent it from suffering that fate, but it's not a good or entertaining picture. Granted, I'm not sure anyone ever claimed Rocky was any good, since it's maintained a life as a cultural phenomenon and not as a film. Is there any point to watching Rocky outside of its interactive audience setting? I'm not sure. I have a definite opinion of the folks who enjoy playacting along with the movie, but I'm trying to be polite so I won't express my thoughts other than to say that I don't get it. Nonetheless, an established cult of fans digs this activity. Will that fun transfer to the home environment? I have no idea. As I'll detail in my discussion of the supplements, the Blu-ray tries hard to bring home the experience, but since I'm not part of the target audience of devotees, I can't say if it works or not. As a movie, The Rocky Horror Picture Show largely stinks. As a cultural phenomenon… well, I'll just say that a lot of people like it and enjoy their participation in it. If you haven't become involved with that group but you find the idea intriguing, you might get some pleasure from Rocky. Otherwise, you're unlikely to understand why it's generated so much fuss over the last few decades. 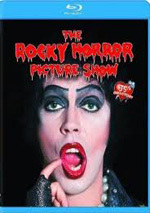 The Rocky Horror Picture Show appears in an aspect ratio of approximately 1.66:1 on this Blu-Ray Disc. Although the picture presented some concerns, ultimately it looked quite good for such an old and relatively low-budget film. Sharpness usually looked clear and crisp. Some shots – usually those with “The Criminologist” – tended to be a little soft, but nothing awful occurred, as the majority of the flick offered nice delineation. Moiré effects and jagged edges caused no concerns, and I noticed no edge haloes. Print flaws also appeared absent throughout the flick. Colors were usually bright and clean. The hues tended toward a cartoony palette that fit the style of the film, and the disc reproduced them well. Even red lighting – such as when Frank visited Janet in bed – looked tight. Also fine were black levels, which seemed deep and rich, with few signs of murkiness or drabness. Shadow detail appeared similarly clear and appropriately thick but without any excessive opacity. The image to The Rocky Horror Picture Show occasionally showed a few signs of its age, but these are rare, as most of the movie looked nice. Also strong was the fine new DTS-HD MA 7.1 soundtrack created for the film. The soundfield appropriately opened up the original monaural image but didn't go "effects happy" and create an excessively busy mix. Effects and dialogue tended to stick pretty closely to the center for the most part. Some gentle use of directional effects occurred at times, such as when we might hear the sound of a party coming from one of the front side speakers, but the impression remained nicely mild and didn't attempt to become something more than is possible with the 35-year-old audio. Surrounds kicked in well at times but generally seemed subdued. Usually they displayed gentle ambiance, but a couple of scenes contributed some involving atmosphere. For example, the lab noises during Rocky's "birth" really swelled up from all the speakers and became quite engrossing. Best of all, the soundfield presented good stereo imaging for the music. The songs seemed well-differentiated from channel to channel but blended together cleanly. All of this created a positive presentation for the music and the added depth gave the tunes new life. Audio quality appeared inconsistent but generally good for a film of this one’s era. Dialogue and effects both suffered from thin and dull tones. Speech displayed some edginess at times and could be unfortunately harsh and crackly at times. The lines seemed clear and intelligible throughout the film but the bland nature made them stick out in a negative manner amongst the higher quality sound. Effects were also pretty flat, though they featured less distortion than the occasionally-edgy dialogue; at least the effects showed some punch and heft at times, such as during the aforementioned laboratory scene or when we heard thunder. Unfortunately, there's not much that can be done about the various quality problems; the original stems will clearly betray the technological limitations of the time. The soundtrack's main redeeming factor remained the excellent music. The songs were obviously recorded under better circumstances than the rest of the mix - since the tunes would have been taped in a studio - and they demonstrated terrific depth and crispness. The range was very strong, with clean highs and some punchy and deep bass, and most of the songs came across as clear and distinct. The only problems I had with the quality of the music occurred because some dialogue had to be integrated with the tunes; this made the original speech seem even more thin and wan due to the stark contrast with the excellent tonality of the songs. Despite those limitations, I found the soundtrack to Rocky to sound good. How did the picture and sound of the Blu-ray compare to those of the DVD from 2000? Audio seemed fairly similar, as the age of the source stems meant there was only so much that could be done with them; the lossless DTS track might’ve had a little more punch than the old DD mix, but not much. On the other hand, the Blu-ray offered substantial visual improvement. I thought the DVD looked nice, but the Blu-ray was cleaner, tighter and brighter. I doubt the movie’s ever looked this good. The Blu-ray mixes old and new supplements. I’ll note Blu-ray exclusives with special blue type. First of all, the DVD offers three different cuts of the film. The "US Version" runs roughly 98 minutes and is the edition Americans are most likely to have seen on the big screen. The "UK Version" lasts for about 100 minutes and includes an extra song: "Superheroes", which appears immediately after the departure of the mansion; the two versions reunite when we see the spiral-up shot of Dr. Scott. Does the additional tune make any difference? No, not really, but it's cool to have the option. The third version of Rocky is available under Play with Alternate Black and White Opening. If you select this, you can watch the movie as originally envisioned: the first 20 minutes of the film play in black and white until it makes the Wizard of Oz style change to color when Brad and Janet meet the dancing Transylvanians. Personally, I liked this feature; it added some impact to that portion of the movie and made it more fun. Next we find an audio commentary from playwright/composer/actor Richard O'Brien and actress Patricia Quinn. Both sit together for this running, screen-specific chat. Overall, this is a lively and entertaining affair. O'Brien provides most of the concrete details about the project and fills us in on a variety of aspects of the production, while Quinn sticks mainly to more emotional remembrances; she tells us what parts of the film she loved and also indicates that she's sick and tired of hearing how sick and tired Sarandon was during shooting. The two participants interact nicely and create a nice chemistry between them. Actually, the track gets a little too buddy-buddy at times, but it generally offers a pretty fun experience. Additional video footage can be seen if you watch Rocky as The Midnight Experience. This includes four different components. A Trivia Track includes the standard facts about the flick. We get production notes, info about cast and crew, and other related topics. It covers the movie nicely and includes more than a few tasty tidbits. The Vintage Callback Track offers another text affair. Though it was taken from a 1980s record album, it simply transcribes the comments knowledgeable fans would yell at the screen. It’s “unrated” due to profanity and crudeness, and I suspect it’d be annoying to hear these people hoot at the movie. Since it’s only text, it’s more tolerable and of decent archival value. Another element meant to simulate the live experience, the Prop Box is the only interactive one. It places a collection of icons meant to simulate toast, rice, and other bits that audience members would throw at the screen. It might offer some enjoyment, but probably not. “Midnight Experience” ends with The Late Night, Double Feature, Picture-in-Picture Show. This shows a “Shadowcast” of the movie: impersonators perform the film along with it. Using picture-in-picture, we see these folks strut their stuff. While I think the Rocky fans are pretty annoying, they really do know their stuff, and the ability to directly compare the flick to the re-enactors makes this a cool addition. Under Rocky-Oke, you can croon along with all 18 of the movie’s songs. This feature allows you to toggle vocals on and off, and the lyrics run along the screen. Fun for all? Maybe. Next comes a documentary called The Search for the 35th Anniversary Shadowcast. In this 58-minute, 18-second show, we hear from a wide mix of folks who auditioned to be in the Blu-ray’s picture-in-picture “Shadowcast” and also watch their try-outs; the second half focuses on the final casting and filming the piece. Once again, I thin these folks are more than a little goofy, but I admire their dedication, and the show offers an intriguing view of the different candidates. After this we get a featurette entitled Mick Rock: A Photographer. It goes for three minutes, 36 seconds as the titular photographer – who took shots on the set of Rocky - about his work. Rock has become a legendary photographer since then, but he doesn’t cover his other work; he sticks with Rocky. Which is fine, as he offers some nice notes about his experiences. For more in this area, we head to a Mick Rock Gallery. This comes as a still frame collection of 45 shots. We see many of these during the featurette, but it’s useful to compile them separately. With that, we head to A Few From the Vault. This area acts as a repository for materials from the original DVD and elsewhere. Under Deleted Musical Scenes, we find two different songs, though only one will really seem new. "Once In a While" is a melancholy ballad from Bostwick that would have appeared right after Brad's tryst with Frank; it lasts three minutes, eight seconds and definitely deserved to be cut. The other tune is "Superheroes" (1:52), which is exactly the same clip found in the "UK" version of the film. Outtakes doesn't offer much in the way of deleted scenes; for the most part, we find either unused takes or alternate angles. There are four different segments involved: "The Time Warp", "Brad and Janet Undressed", "Janet's Seduction", and "Floor Show Preparation". All of these include two different clips except for "Undressed", which has five alternate takes. Added together, the snippets take 10 minutes and two seconds to watch. They're moderate fun but not anything particularly memorable or special. The Alternate Credit Ending (3:45) plays "Time Warp" the whole way over the text, whereas the actual sequence starts with a reprise of "Science Fiction Double Feature" and then goes into an instrumental version of "Time Warp". Other than the tune in question, I could discern no changes. Over at Misprint Ending, we see the footage to "Superheroes" but without correct audio. As such, we see Sarandon and Bostwick sing but don't hear their vocals. This one-minute and 44-second snippet's a vaguely cool thing to see, but I'm disappointed the DVD doesn't mention its history; did prints appear with this mistake? What's the scoop? I know not. Next we get a documentary called Rocky Horror Double Feature Video Show. This 36-minute, 25-second program provides a solid basic history of Rocky from its origins as a stage production through the creation of the film to its afterlife as cultural phenomenon. Made in 1995, we get then-recent interviews with O'Brien, Quinn, director Jim Sharman, set designer Brian Thomson, and actor Little Nell. There are also older snippets from folks like Barry Bostwick, Tim Curry, and Susan Sarandon plus lots of good footage from conventions and other events and photos from the stage show and elsewhere. While I thought the documentary could have been more complete - it feels a little abrupt and sketchy at times - it still works well, and I especially enjoyed all of the insight set designer Thomson added; his comments were the highlight of the piece. For older material, we go to Beacon Theatre (10th Anniversary). The five-minute, 26-second piece shows a 1985 super-showing of the film complete with live band! Sal Piro – the fan behind the response album found in the “Midnight Experience” – provides a few comments about the movie’s appeal, and we get notes from O’Brien and some “Shadowcast” performers. It’s pretty silly, but it has archival value. A Music Video for “Time Warp” appears. Originally from the 15th Anniversary VHS release, it goes for four minutes, 41 seconds and it simply offers a montage of “Shadowcast” audience performances. Yawn. 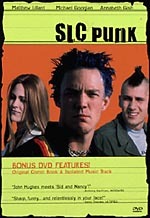 Two theatrical trailers appear on the DVD. The first is just a 30-second teaser, but the second provides a much more extensive look at the film; it lasts for three minutes. It also credits one "Susan Saradon". Under the Pressbook Gallery, we find some stills from the film’s advertising materials. These cover only six screens, but you can enlarge various elements to better read them. That helps make it a cool addition. A Poster Gallery also tosses in four ads. Does the Blu-ray drop anything from the DVD? Yup – it axes VH1 specials and a “Pop-Up Video” take on “Hot Patootie”. I assume Fox lost the rights to these, but their absence disappoints, as they offered some fun pieces. The package ends with a Digibook. 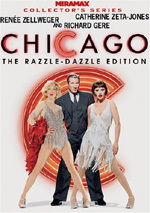 This means that the movie’s case opens up to present a glossy color book between its covers. We find an intro from executive producer Lou Adler along with many photos from the production. I’d like some additional notes ala the Warner Bros. digibooks, but this one still adds some class to the set. At this point in history, I'm not sure it matters anymore if Rocky Horror Picture Show is any good; it's become so famous for other reasons that the movie itself seems almost irrelevant. Personally, I don't like it, but others obviously find something interesting about it. In any case, the Blu-ray provides surprisingly positive picture and sound. The supplements are also pretty good, as we find a nice mix of components. I doubt I’ll ever feel much affection for the movie, but the Blu-ray presents it well.